Remember when you were in your early twenties, single, and had all the freedom to attend a party or watch a concert whenever you wanted to? Well, they're only a memory now, aren't they, with all the responsibilities that come with being a parent. Sigh. Hot off the press! 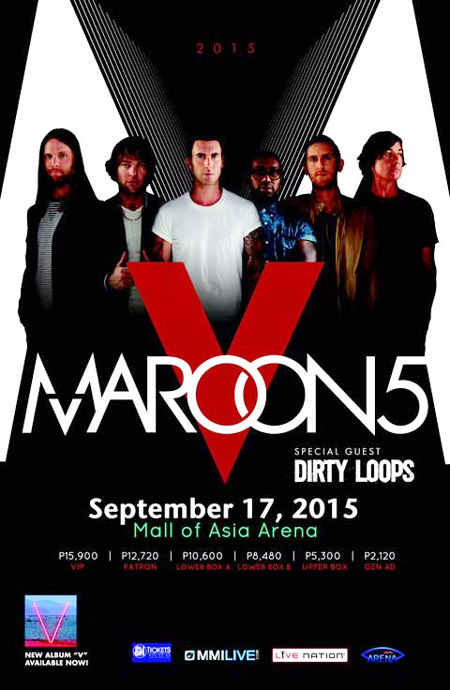 Mall of Asia Arena has just announced on their Facebook page that Maroon 5 is coming to Manila on September 17, 2015! Tickets go on sale on March 6! 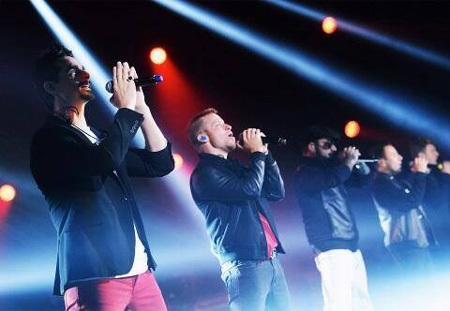 One of the most popular boy bands in the 80s, the Backstreet Boys will once again bring their hits to Manila at the Mall of Asia Arena! For ticket details, visit the Mall of Asia Arena Facebook page. 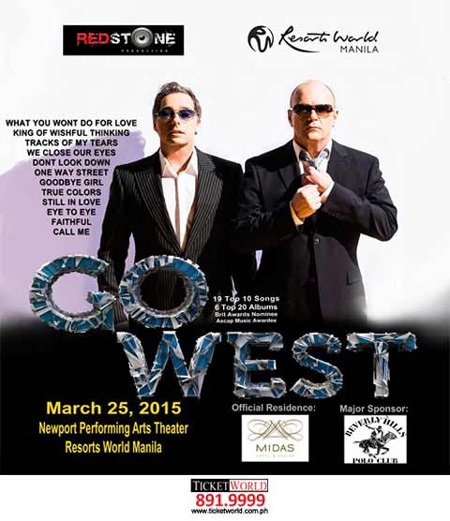 The popular English duo that made it big in the 80s and popularized the hit songs What You Won't Do for Love, King of Wishful Thinking, and Goodbye Girl will be performing at the Newport Performing Arts Theater, Resorts World Manila. For tickets, go to ticketworld.com.ph.